Botswana has been blessed with a wealth of natural resources, decades of political stability, and a small human population. This has allowed its government to direct resources toward conservation on a scale that is the envy of most other countries. What is more, the country has proven itself progressive in the realm of conservation, evident in everything from its transfrontier “Peace Parks” to its focus on low-volume tourism. From the Kalahari to the Okavango and beyond, in Botswana the adventurous safarist can boat natural inland waterways, undertake daytime and nighttime gamedrives in open vehicles with no sides and no top, horseback ride and trek in animal country, and sleep under the stars in small, luxurious tented camps. The country offers incredible opportunities for experiencing Africa with all of one’s senses. The following itinerary is meant to help your safari planning. 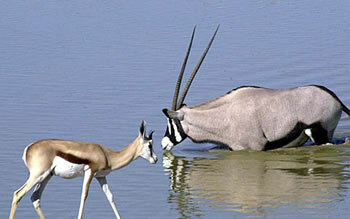 Since 1974, we at Cowabunga Safaris have done many, many kinds and variations of safaris to Botswana. We can even do horseback safaris here. Do you want something more upscale? Do you want something more rustic and participatory? 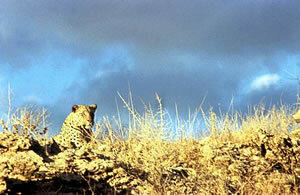 If you have a different safari in mind, wish to stay longer, or want to travel to other parts of the continent, tell us. We can make it happen.